If you’re in the market for teeth (and who isn’t?) then I present to you Dr. Bailey’s Secure Instant Smile, Imako Cosmetic Upper Teeth, and the buy-one, get-one Perfect Smile Veneers. 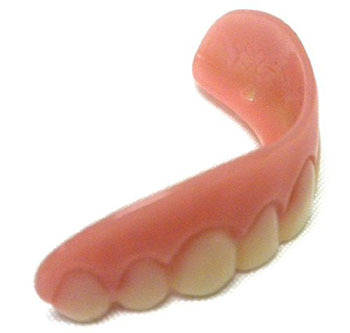 Or, if you’re on a budget, how about a tooth-shaped container of plastic teeth?